High levels of total cholesterol and low levels of high-density lipoprotein (HDL) cholesterol (the “good cholesterol”) are risk factors for coronary heart disease. To identify persons who may be at risk for developing coronary heart disease, adults are advised to have their cholesterol checked at least once every 5 years (i.e., to be screened for cholesterol). A previous study reported declining trends in the percentage of adults with high total cholesterol during 1999–2010. This report presents estimates of the percentages of adults aged 20 and over with high total cholesterol, low HDL cholesterol, and screened for cholesterol, based on data from 2011–2012, and compares them with corresponding estimates from 2009–2010. Analysis is based on measured cholesterol only and does not take into account whether lipid-lowering medications were taken. In 2011–2012, an estimated 12.9% of U.S. adults aged 20 and over (11.1% of men and 14.4% of women) had high total cholesterol, which is unchanged since 2009–2010. Approximately 17% of adults (just over one-quarter of men and less than 10% of women) had low high-density lipoprotein (HDL) cholesterol during 2011–2012. The percentage of adults with low HDL cholesterol has decreased 20% since 2009–2010. Nearly 70% of adults (67% of men and nearly 72% of women) had been screened for cholesterol, which is unchanged since 2009–2010. 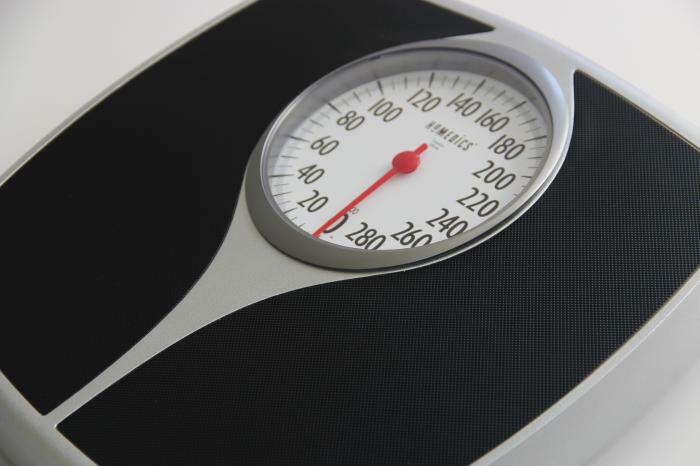 NCHS has put out a report that presents national estimates of obesity among adults in the United States in 2011–2012, based on measured weight and height. The health risks associated with obesity make reducing the high prevalence of obesity a public health priority. Previous publications have shown both racial and ethnic disparities in obesity prevalence and no change in the prevalence of obesity among adults since 2003–2004. This report shows national obesity prevalence estimates for non-Hispanic Asian persons are possible for the first time, using newly available data. More than one-third (34.9%) of adults were obese in 2011–2012. In 2011–2012, the prevalence of obesity was higher among middle-aged adults (39.5%) than among younger (30.3%) or older (35.4%) adults. The overall prevalence of obesity did not differ between men and women in 2011–2012. Among non-Hispanic black adults, however, 56.6% of women were obese compared with 37.1% of men. In 2011–2012, the prevalence of obesity was higher among non-Hispanic black (47.8%), Hispanic (42.5%), and non-Hispanic white (32.6%) adults than among non-Hispanic Asian adults (10.8%). The prevalence of obesity among adults did not change between 2009–2010 and 2011–2012. From 2000–2010, the number of persons in the United States aged 65 and over rose 15%, from 35.0 million to 40.3 million, and in 2010 this age group represented 13% of the population. It is estimated that by 2030, nearly one in five persons will be aged 65 and over. Given their growing proportion of the population, older individuals will comprise an increasing share of emergency department (ED) patients in the coming years. This is important because of the ED’s role in treating acute illness and injury in older adults and providing a pathway to these patients for hospital admission. A new report from NCHS describes emergency department visits made by individuals aged 65 and over and compares age groups 65–74, 75–84, and 85 and over. 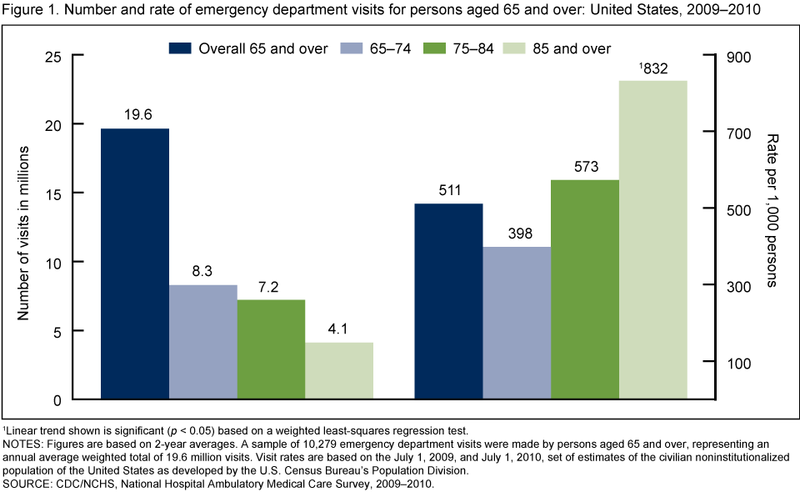 In 2009–2010, a total of 19.6 million emergency department (ED) visits in the United States were made by persons aged 65 and over. The visit rate for this age group was 511 per 1,000 persons and increased with age. The percentage of ED visits made by nursing home residents, patients arriving by ambulance, and patients admitted to the hospital increased with age. Twenty-nine percent of ED visits by persons aged 65 and over were related to injury, and the percentage was higher among those aged 85 and over than among those aged 65–74 or 75–84. The percentage of ED visits caused by falls increased with age. You are currently browsing the NCHStats blog archives for October, 2013.